The Climate Assessment Planning Committee will host a pair of Campus Update sessions later this month to present the findings of the comprehensive survey completed last spring by some 6,000 students, faculty and staff. The survey sought to assess the learning, living and working environment at the University. In advance of the sessions, campus community members are encouraged to read the survey executive summary, which was made available today. Upon the recommendation of the project consultant, and to preserve integrity of the data, the executive summary and full report are presented as encrypted documents and therefore cannot be printed. The summary is ADA compliant and may be viewed through a screen reader. The sessions are open to all and will take place on Thursday, Oct. 27, from noon to 1:30 p.m. and 4 to 5:30 p.m. in the Joyce Hergenhan Auditorium in Newhouse 3. American Sign Language (ASL) interpretation and Communication Access Realtime Translation (CART) will be available at both events. For questions about accessibility or to request accommodations, please contact the Equal Opportunity, Inclusion and Resolution Services (EOIRS) office at 315.443.4018. For those who cannot attend in person, the second session will be live streamed and can be viewed at survey.syr.edu. The Campus Update sessions will begin with project consultant Susan Rankin, who will lead a presentation on the survey findings, followed by Senior Vice President and Dean of Student Affairs Rebecca Reed Kantrowitz (CAPC co-chair) discussing next steps. These next steps include making the full report available via MySlice and seeking feedback from students, faculty and staff on the survey findings via an online feedback form on survey.syr.edu and a series of Campus Conversation open meetings scheduled for Nov. 16, Dec. 13, Jan. 19 and Feb. 1. This input will help the committee in preparing its final report and recommendations, which will be presented in March 2017. The idea for conducting a climate survey originated with the Chancellor’s Workgroup on Sexual Violence Prevention, Education and Advocacy, as one of the 24 recommendations in the workgroup’s final report. The mechanism and specific questions for the SU Climate Assessment Survey were developed by the 14-member CAPC and Rankin & Associates in summer and fall 2015. The process was informed by feedback gleaned from 20 focus groups involving 51 students and 66 faculty/staff members conducted on campus in October 2015. The survey was conducted Feb. 9-March 28, 2016, via a secure online portal, with confidential paper surveys for individuals without easy access to an Internet-connected computer or who preferred a paper survey. 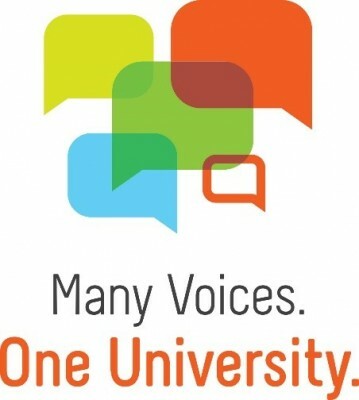 The survey consisted of 118 items (29 qualitative and 89 quantitative) focused on the experiences and perceptions of various campus constituent groups related to sexual harassment and sexual violence, race, gender identity and gender expression, sexual orientation, disability services, the academic environment for students, the workplace environment for faculty and staff, and other topics. For more on the project—including a timeline; FAQ; and a listing of various resources available to students, faculty and staff—visit survey.syr.edu.